Watch video in HD. 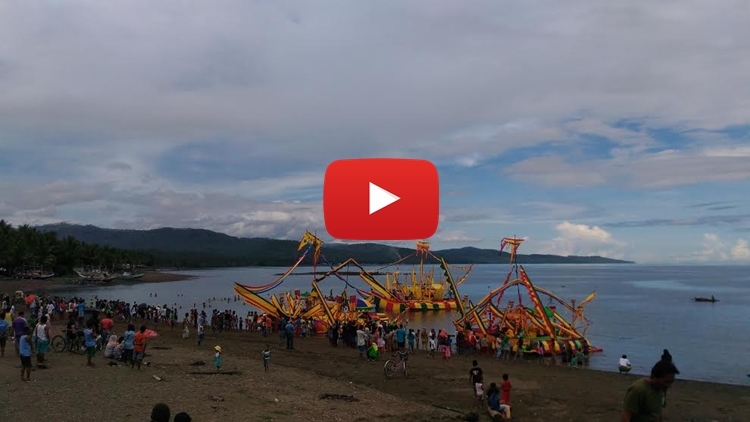 Every month of June the Municipality of Malapatan in Sarangani Province celebrates Pakaradyan Festival to showcase their rich culture, traditions and history. And we are happy to have been invited to witness the Guinakit sa Suguda Malapatan during the Bangsamoro Day celebration this year. 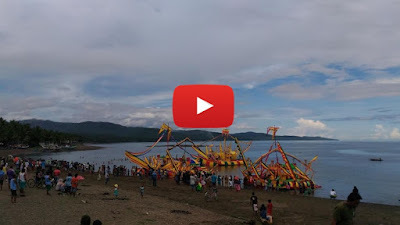 The event is almost similar to the Guinakit fluvial parade in Rio Grande de Mindanao in Cotabato City during the celebration of Shariff Kabunsuan Festival every month of December except that in Malapatan it is held by the sea. We were amazed with the participating guinakits or boats adorned with colorful Muslim traditional decors wherein on board are musicians and dancers in traditional Maguindanaoan attires. Aside from Guinakit sa Suguda Malapatan, the hundreds of spectators who gathered at the beach in Brgy. Tuyan also enjoyed the Lumba Langoy (swimming competition) and Lumba Bugsay (banca race) participated by residents of Malapatan. The Pakaradyan Festival runs from June 17-21. The festival name is a Maguindanaoan word for "feast". Other activities includes Mutya ng Mapalatan pageant, Kulintangan with Pangalay Competition, cooking competition, traditional games, the street dancing competition on June 21 and many more.